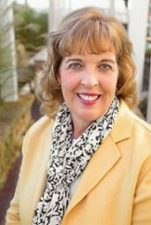 Jennifer James joined Langley Properties Company in 1986 and today serves as property manager of The Mall at Lexington Green shopping center in Lexington, Kentucky and Southside Square in Kernersville, NC. Jennifer is responsible for the day-to-day management of both properties which includes supervising contract and maintenance personnel, serving as primary contact for existing tenants, and assisting with leasing and fit-up for new tenants. She recently oversaw Lexington Green’s major Lakeside renovation in 2016. Jennifer attended Georgetown College and holds an Associate Degree in Accounting from Sullivan College. She has managed several of the company’s office and retail properties during her 30-year career with the company. She is married and the mother of two daughters. She is active in school and church activities and enjoys spending time with her family.